End of Days: The Plagues of Submersion, The Trigger. וְאִם-מִזְבַּח אֲבָנִים תַּעֲשֶׂה-לִּי, לֹא-תִבְנֶה אֶתְהֶן גָּזִית: כִּי חַרְבְּךָ הֵנַפְתָּ עָלֶיהָ, וַתְּחַלְלֶהָ. 21 And if thou make Me an altar of stone, thou shalt not build it of hewn stones; for if thou lift up thy tool upon it, thou hast profaned it. Later on in Devarim, the tools that are specifically not to be used to cut stones for the Mizbeach are listed as tools made of iron because as Chazal tell us, Iron weapons shorten life while the Mizbeach is constructed to offer up Qorbanot that prolong our lives. (Devarim 27:4-6) And we all know how those iron weapons that were hidden in the Al Aqsa Mosque were used to shorten the lives of those two Druze Police Officers. וְהָיָה, בְּעָבְרְכֶם אֶת-הַיַּרְדֵּן, תָּקִימוּ אֶת-הָאֲבָנִים הָאֵלֶּה אֲשֶׁר אָנֹכִי מְצַוֶּה אֶתְכֶם הַיּוֹם, בְּהַר עֵיבָל; וְשַׂדְתָּ אוֹתָם, בַּשִּׂיד. 4 And it shall be when ye are passed over the Jordan, that ye shall set up these stones, which I command you this day, in mount Ebal, and thou shalt plaster them with plaster (bedolach based limestone cement). בַּעֲבוּר, דָּוִד עַבְדֶּךָ-- אַל-תָּשֵׁב, פְּנֵי מְשִׁיחֶךָ. 10 For Thy servant David's sake turn not away the face of Thine anointed. 'Of the fruit of thy body will I set upon thy throne. יד זֹאת-מְנוּחָתִי עֲדֵי-עַד: פֹּה-אֵשֵׁב, כִּי אִוִּתִיהָ. 14 'This is My resting-place for ever; here will I dwell; for I have desired it. From this we see that on the cusp of anointing the seed of David as the Mashiach, HaShem who chose Tzion, will demonstrate an intense desire to establish His Place of permanent habitation. But when will he demonstrate His desire? For that we must study the Arizal's chart above. We see that the 72 days between the 25th of Adar and the 6th of Siwan correspond to the Gematriah 72 letter name for HaShem, spelled: Yud Vav Dalet (20) Hey Yud (15) Vav Yud Vav (22) Hey Yud (15). Notice that spelling out the letters in this way leads to a total Gematriah of 72. Now assuming as the Arizal assumed that before the Cheit of Adam HaRishon, the lunar cycles were precisely 30 days, we see that there are precisely 72 days between the 25th of Adar and the 6th of Siwan (6 days in Adar, 30 days each in Nissan and Iyyar, and 6 days in Siwan). Notice from the spelling above, Aleph Vav Hey do not appear consecutively during those 72 days. The reason is because the first Redemption from Mitzraim was with the Yud and the Hey in HaShem's Name. Because of our sins in the desert, the Vav and the Hey never had a chance to manifest themselves in that Redemption. Moshe died in the desert. So this basically guaranteed that throughout our long history we would be exiled (on two occasions) from our Land until Mashiach came whose soul is a merging between the soul of the scion of David and the soul of Moshe Rabbeinu. Once Moshe's soul is drawn down into Eretz Yisrael from Sha'ar HaNun (the 50th Gate), the cycles of Churban and Exile and Redemption will come to a close. We will not be exiled again. So while we were redeemed from Egypt and received the Torah under the direction of G-d's approval, we began to spiritually deteriorate from our high spiritual plateau forty days after Matan Torah, on Shivah Asar b'Tamuz 2448, and in the second year in the desert by Tisha B'Av 2449. In both cases according to the Arizal chart above, we were within the next phase of our journey, the 63 days of SaG (Samech Gimel which is 63). This 63 days period extends from the 7th of Siwan through the 9th of Av, again with Siwan and Tamuz having 30 days each. Now just to clarify, it should be understood, that the Gematriah 72 Name of HaShem fills the World of Atzilut during those initial 72 days, and the Gematriah 63 Name of HaShem fills the World of Bri'ah in the Year of the Final Redemption. Since the first 72 day period had already "been perfected" by the First Redemption, it does not need to be repeated in the Final Redemption, but the corruption of our sins, the Sin of the Golden Calf and during the following year, the Sin of the Spies, corrupted the Filling of the World of Bri'ah and therefore needs to be rectified in the year of the Final Redemption which starts with HaShem showing that He has a tremendous desire to dwell on the Temple Mount. Now keep in mind, for 49 years starting with the potential Yovel year of 5678 (Fall of 1917 -1918), HaShem provided an opportunity to make Aliyah to the Land of Israel is large significant numbers starting with the Balfour Declaration and the Conquest of Yerushalayim from the Turks by PM David Lloyd Gog, a living, breathing philo-Semite. The 50th year of this Aliyah to the Land of Israel was interrupted by another Yovel event, the Re-unification of Yerushalayim. This set into motion another 49 year Aliyah to the Old City and the Western Wall of the Temple Mount and to Judea and Samaria beyond the 1949 arbitrary armistice line to which we could not make Aliyah between 1948 and 1967. In both cases we reached 600,000 Jews during or at the end of those 49 year periods. There were 600,000 Jews in Israel by the Fall of 1947, and by 2016 there were 600,000 Jews living in Yesha and Yerushalayim beyond the Green Line. The 50th year was 5776, but the vessel to take us to the next level Aliyah Har HaBayit was incomplete. (There were not 600,000 Jews willing to go to the next level.) Not enough of us were willing to go to the next level. So even though the father of the murdered Hallel Yaffa Ariel (hy"d) wanted to tie her murder in the land of Kaleiv, Qiryat Arba, to making Aliyah to the Temple Mount by secretly doing Birkat Kohanim on the Temple Mount under the eyes of the watching policemen, the vessels of Redemption to start 50 years of Aliyat Har HaBayit were simply lacking in our minimal numbers. There were not 600,000 Jews who desired to go to this level. So for this reason and other reasons to be discussed at another time, the Tikkun was delayed one more year, until this year 5777. So let us look at the letters for the Name Gematriah SaG: Yud Vav Aleph (20, from the 7th of Siwan until the 26th of Siwan), Hey Yud (15, from the 27th of Siwan until the 11th of Tamuz), Vav Aleph Vav (13) and Hey Yud (15). Notice that consecutively we see the Ivah that HaShem desires to dwell in the lowest world Olam HaAsiyah on the Temple Mount. Now when were those twelve days since Aleph Vav Hey is Gematriah 12? Well the first Vav in Vav Aleph Vav is (6, from the 12th of Tamuz until the 17th of Tamuz. The Aleph Vav Hey (12, is from the 18th of Tamuz until the 29th of Tamuz), and the final Yud is from the 30th of Tamuz which for us is Rosh Chodesh Av until the 9th of Av. From previous discussions on this blog, we discussed that with the advent of Hillel the 2nd's calendar, we can basically only establish the New Moons Rabbinically. We simply do not meet the criteria of setting the months d'Oraita when we don't have witnesses appearing before the Sanhedrin. So although the calendar is precise and accurate to 1/ 10,000 of a second, the New Moon as established here on earth through the calendar might be one day off from how Heaven sees the situation. This is especially true in years when the molad for Rosh Chodesh that has 30 days is on Rosh Chodesh itself. Since while the Temple stood, Rosh Chodesh could only be declared the following day AFTER the crescent moon was seen because on that day the Musaf for Rosh Chodesh could then be offered by noon, Heaven might rule that Rosh Chodesh is indeed the following day. Notice that I am carefully using the word MIGHT. But one thing that seems certain, since the molad for Rosh Chodesh Av was on Rosh Chodesh itself and since this was intentionally set up by Chaza"l so that Yom Kippur would not fall on Motzei Shabbat (a big no no), the Arizal's calculation was advanced one day this year from the 18th of Tamuz to the 19th of Tamuz and from the 29th of Tamuz to Rosh Chodesh Av. Lo and Behold the self-exile of the Arabs from the Temple Mount fulfilling the first commandment for making a Mishkan, that metal implements not be used to hew, the whole stones of the Mizbeach, was precisely during those 12 days of Ivah!! But HaShem's entreaties not only went unanswered. He was utterly spurned. And unlike anytime before in history except for the Generation of the Flood, His Wrath will now be felt by the entire World. It is from this that we received upon ourselves the First plague of the Final Redemption, The Plague of Harvey.... To be continued. 3. Hoshana Rabbah could not fall on Shabbat. The Sanhedrin during that 300 year period then had the power D'Oraita to set up the months so that those three things never happened, and they made every effort to do just that. 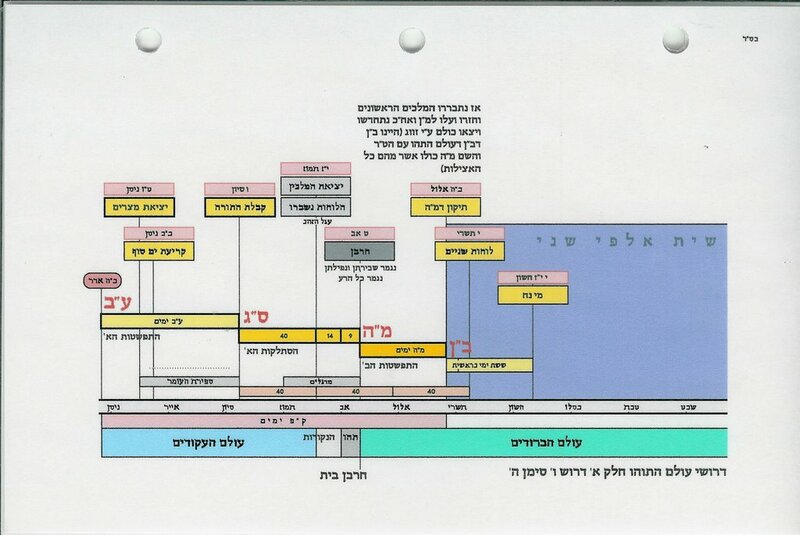 This then became the "floor plan" for the Rabbinic Calendar that we use today where Rosh Chodesh itself is D'Rabbanan since we have neither witnesses nor a Sanhedrin which are the basic ingredients to making the Declaring of the New Moon D'Oraita. I'm not crying for them. Too many antisemites in America... and these are supposedly our "allies" (also wicked people in general, adulterers, criminals, pedophiles, drug-dealers, alt-right stormfags, liberal perverts, transgender freaks, radical mohammedans, Jewish traitors, rotten ideologies, immodesty, etc). Time to clean up the 2/3. Thank you Hashem. I can't wait to see Your revenge against Esav and Ishmael. Teach them Who runs this world. Give them hard! Welcome Irma. Bye bye America, you won't be missed, I promise you. I don't think that we should be wishing bad for them. Plenty of innocent people there. After the Mabul did Hashem not say that He will never destroy the world again with another mabul ? How many plagues will there be ? All to happen by hoshana raba ? What about the rest of the world? Florida and Texas are not the entire world. Perhaps these hurricanes are just huge natural disasters, but not plagues of the final redemption.. If as you stated, "It is from this that we received upon ourselves the First plague of the Final Redemption, The Plague of Harvey”– that I may postulate, Harvey in Texas, the Gulf area; IRMA scorching Florida and probably landing in the Carolinas; then Jose possibly skirting up the E Coast toward DC-NY, we might be witnessing something really unusual. Couple these with the Fires on the West Coast and we have all the coastlines bordered by water, i.e. A surrounding of sorts. I would like to request that folks simply sending links of major headlines or just copy-pastes of articles, and stop filling the blog. Why should we have to scroll through all of this? In some cases, folks will copy a whole article followed by the link, without any original thoughts. Why not just send the link (or nothing at all since we all read the same websites)? Let's be real. Is there anyone (I mean anyone?) that does not know about this. We all read headlines (everyone is especially glued to the Irma reports) and know about these sites (foxnews, debka, and the rest of what people copy-paste). The same was for quite a few other events. such as the attacks in france and UK. Again, we all know about this, as does anyone off the street. Why do some folks feel almost any obligation to fill the blog with stuff? dear friends, my first immersion in a mikvah , was on 12- 09- 2001. I was so exited about that! To hear today what Hashem says to me , is my geulah hayiomit. To see the restoration of the nevuah, and the Torah to be the Law of the people of Israel in the Land , to hear the people of Israel to proclaim again "Hashem Hu ha Elokim" is my dream. No time for endless speculations . HaShem manifests Himself through nature. Ain Od Milvado. There is nothing but Him. Do not try to talk yourself out of relating these historic, catastrophic, record breaking events to the Creator of the world. Of course! this is all from HaShem and it is the yetzer hara that has you trying to minimize the importance of these events. David, maybe not all the visitors here read the same websites. Sometimes there are variations in reporting that make all the difference. However, you may be right that this should be more of a “post your comments here” blog. Posting an interesting blog link because it covers something relevant here or just plain important is worthwhile. Just like the world focuses on a stone throw in Israel, it focuses heavily on hurricanes (in western hemisphere) and barely pays attention to the typhoons and monsoons that are much more common and devastating in the eastern (due to poor infrastructure). Here we talk about the hurricanes being a sign of global events related to the geulah, but, did not say all of this when the other side of the world got it, year after year. These hurricanes may be significant from a global perspective, but, the same could have been said about the recent typhoons- but was not mentioned. I guess it's one of those "who cares about a million Asians or Africans" attitudes the world may have? Hopefully, the hurricanes are true signs - we'll wait and see. Ginno: Until recently America has been a force for Good in the world. I would agree that when there was a conflict between the Truth and doing the right thing verses Prosperity, America always chose prosperity. So it was stuck at the 33 level of purity. I for one though will miss what America was, not what it has become. David: So let us start following those cyclones in Bangladesh and Vietnam. I for one am not against studying these cyclones on a Global scale. I ask this in all sincerity. Have you considered the possibility that you are actually delaying the Geulah Shleimah with these endless speculations/predictions of the imminent arrival of Mashiach/destruction of much of the world? Certainly, anyone who actually looks forward to the deaths of countless human beings isn't helping things. In fact, that attitude represents a fundamental distortion of Judaism--Hashem doesn't desire the deaths of even reshaim (He hopes they will do teshuva). Moreover, why is anyone here so certain of their own merits that they are confident that they will survive a catastrophe? Shoshana: I wrote extensively about these Mini-Mabulim as Plagues since Shabbat Shoftim on the previous post. Until I can do a stand alone post, please review the Comments on the previous post since starting with August 26th which was the Motzei Shabbat Parshat Shoftim after Harvey hit Corpus Christi, the Body of X. It started with the Avodah Zarah of Edom, the Body of X, just as it started in Egypt with the Nile. The First Plague of the Final Redemption was against the Avodah Zarah of Edom for the last 2000 years. And only then did it travel to Houston, the Land of Gog. Harvey was a two for one. No one here is looking forward to death and dying Ed. G-d forbid. I have a sister in the path of Irma in South Florida. I am trying to get her to drive to Western Virginia for the next week. We are not predicting Mashiach here, but there is no way on earth that we are going to be deterred from talking about his coming as events unfold... along with analysis of why and how. By not talking about the Final Redemption as it is happening, on the other hand, we delay it by cheapening the Acts of G-d by ignoring them. It is the opposite of what you say. Meidad's Prophesy in the Camp about GogUMagog Read all the Comments on this post. To read beyond 200 Comments, Click on Post a Comment at the bottom of the Post page. Then Click on Newer to get to Comments starting with the 201st Comment. Then read my previous post: http://yearsofawe.blogspot.co.il/2017/08/the-fire-and-fury-of-year-777.html. And then read Comments starting with August 26th, 2017. There are no short cuts to learning on this blog. Sometimes we all need to wade through the Comments. I always wade through the Comments when I need to review what was talked about. Sometimes we need to read posts that I wrote two years ago. Irma is either going to hit the Gold Coast (East Coast) of South Florida, or it will take a sharper turn to the north over Cuba and head for the Carolinas, missing Florida altogether. 50/50 chance of either. If it hits Miami or Fort Lauderdale, it will hit with sustained winds of 150 miles per hour around the eye with the eye wall being 50 miles in diameter. It is a Monster. If you remain in South Florida until Shabbat, you have a 50/50 chance of being hit by the Monster. I would leave now. 1. This blog, at least the Blog owner, does not celebrate the death of millions. We pray that people repent making these plagues unnecessary. I should point out to commenters, over which I can only exercise the control of censorship, not to celebrate the death of hundreds, thousands, or millions of people. There are a lot of good people who are suffering with the bad Globalists and Xtians imbued with the prosperity doctrine that the purpose for serving G-d is to make money (such as many Methodists) who voted for Gog ben Gog Bush Jr. for Governor TWICE because of it. There are, though, a lot of really good people who are suffering especially in Texas. What is notable is that for the first several plagues in Egypt, Klal Yisrael suffered (quietly) from the plagues too. The text of the Torah does NOT say that Goshen was spared from the Plague of Blood while other later plagues such as Arov, mixture of wild beasts, and Dever, death of the domesticated animals, the text of the Torah DOES say that G-d made a separation between the Egyptians who suffered from this plague and Israel who did not. 2. So that people might repent if informed that they are going through plagues, it is important for This Blog to point out the how and the why of each plague as they unfold. And so that will continue. 3. It should be duly noted that as we saw in Houston, holy Jews were not spared the effects of that first Plague. For one, Jews are now in "Egypt" known as America since it has as of Shavuot 5776 fallen lower than Mem Tet Sha'arei Tumah. They are there voluntarily for the most part. Some Jews can't leave because they are taking care of elderly parents who refuse to make Aliyah. Yet, most are in America to prosper hopefully to be able to give even more tzedakah than they could if they lived in Israel. But because Jews for the most part reside in America voluntarily and not as slaves, there is no reason to expect a separation between them and their fellow Americans in future plagues. The solution of course is to leave NOW for Israel if that is possible. 4. No one knows for sure if they will live or die during this period of judgement. The best thing for us all is to take this opportunity of G-d's closeness like a Virgin lover in the field during the month of Elul (whose sign is the bethulah, the Virgin) to repent before Rosh HaShanah, Yom Kippur, and Hoshana Rabbah when Judgements are signed, sealed, and delivered during Tishrei, the Month of the Scales. For whether we will live or die "by Water or by Fire" at this time will be decided during this coming Faithful month. From UNetaneh Tokef: On Rosh HaShanah it is Written and on the Fast of the Day of Atonement it is sealed (for the following year): How many will pass away and how many will be born. Who will live and who will die. Who will live out his allotted time and who will die before his allotted time. Who will die by fire and who will die by Water Who will die by the Sword and who will die by wild beasts. Who (will die) by Hunger and who by Thirst. Who (will die) by earthquake (or some other noisy method of capital punishment) and who by Plague Who (will die) by Strangulation and Who by Stoning. Who will be at Rest and Who will be forced to Wander. Who will have a quiet existence and who will be harassed (or torn to pieces, Yikes!). Who will be Tranquil and who will suffer tribulation. Who will become Poor and who will become Rich. Who will be brought down and who will be raised up. And Teshuvah (Repentance), Tefillah (Prayer), and Tzedakah (Charity) overturn the Negative Aspects of G-d's Decree (on Rosh HaShanah) It is that time of year again! As I mentioned in the Comments to the previous post, because of his attempt to return the Torah to G-d after his demonstration of G-d's power on Mt. Carmel followed by Jezebel's statement that although Eliyahu had won the day, the following day she will come to kill him, HaShem took away the Final Vav from his name on five different pasukim and gave those five Vavs to Ya'akov Avinu whose name is spelled with a Vav on five different occasions in all of Tana"kh (four times in Yirmiyahu and once in VaYikra). So the privilege of Eliyahu heralding the Plagues corresponding with the Vav in HaShem's Name were taken away from him. He would only herald those Plagues that correspond to the Final Hey in HaShem's Name. As we know from the Pesach Seder, the third cup of wine comes after finding that which was hidden (Tzafun or the Afikomen) while the fourth cup of wine comes after Kos Eliyahu. Since the Final Redemption is with the Vav and the Final Hey in HaShem's Name unlike the first Redemption which was with the Yud and the Hey, this would mean that up to the first Six Plagues being unheralded. Since there are four Vavs in Yirmiyahu's spelling of Ya'akov (יעקוב when normally Ya'akov is spelled without the Vav), it is possible that only four plagues will be unheralded by Eliyahu HaNavi while he DOES show up to herald the fifth plague. As it says, Behold I will send to you Eliyah (without a Vav) the Prophet before the Coming of the Great and Awesome Day of the L-rd (the fateful Hoshana Rabbah) after (the Sun has turned to Darkness and the Moon has turned to Blood). And as we know, at least over the USA, the Sun DID turn to darkness already. So the question comes up, who will give meaning to these four or six plagues that are unheralded by Eliyahu HaNavi? Well, your friendly blogger Dov Bar-Leib comes to mind, but maybe there are others, some bloggers and some not, who are screaming from the rooftops what is going on! And it seems that Irma is Plague Number Two. It might be too early to tell for sure, but it seems so. Mentioning news events in France or the UK in these comments is significant because commentators who live in those places can add insight beyond that of the mainstream media. Parts of the world have frequent hurricanes, flooding and earthquakes. But when extreme weather has unusual aspects it should be commented on. That a hurricane hit Huston was not the newsworthy item as far as this blog goes. But that it hung around and double backed and dumped an unusual amount of water on Houston is significant. The floods in Asia are large and terrible for those affected, but not unusual. It is like terrorist attacks. It is sadly usual for dozens to die from bombs in Iraq and Afghanistan on a weekly basis. But when such things happen in Europe or the USA or Israel the implications for this blog and geulah are significant. That is why people comment here. We are searching for and remarking on patterns and trends in events, or unusual events, or hints and so called "co-incidences" given by how those events happen. Hurricane Irma has wrecked havoc in St Martin. The island named after a man called Saint Martin of Tours. Tours in France has a long history of antisemitic violence. Speaking of Who (will die) by Fire or Water, a friend of the blog notified me that there are at least 60 Wildfires blazing, most of them uncontained, in the Western United States right now. I don't know if there has been fatalities...from the Fires. They are blazing out of control in Washington State, Oregon, California, Nevada, Idaho, Montana, and Arizona. Except for Utah, that list includes all the States that are for the most part West of the Rocky Mountain Continental Divide. Maybe in some places those fires do account for a red tint to the Moon toward the east of those fires. A previous commenter on the previous post pointed that out. One of the reasons for focusing on the US at this time is because Ovadia HaNavi referred to an Edomite nation at the End of Days that would be taken down from a very high perch among the Stars (with Space Stations and lots of Satellites in the sky including a fact that this nation traveled to the Moon and back.). That nation of course is the US. So perhaps this is why HaShem is focusing His Plagues on the US of A.
America whose national bird is an Eagle of course has placed its Nest amongst the Stars. That is for sure the United States of America. Just one minor point, perhaps one should translate Zadon Libkha as the Insolence (or Boastfulness) of thy heart not simply The Pride of thy heart. That 256 value is Four to the Fourth power. Yes that is correct. It brings to mind the Chayot haQodesh which have four faces (including the face of an eagle and a lion and an ox and a Man) and within each face one can find the same four faces. I had heard that this expands the number faces on the Holy Chayot to a power of Four like a Babushka doll. There are 5.5 million Jews in America today and experts believe that in 20 years, that number will be 2.5 million – a loss of 3,000,000 Jews!!! Want to solve it? Want to totally end the problem of intermarriage in America? Take the next step and help bring all the Jews home to Israel. Am I being irrational? Probably, after all, 4 out of 5 Jews didn’t leave Egypt, so you think they are going to leave Miami Beach? Dov, another reason for choosing the USA is that Trump was divinely elected to become the Moshiach of Edom and promote his tikkun. Now it seems that Trump has chosen the opposite direction, the direction of the Snake. Hence H' is demoting him and the nation he represents and leads that could have saved. Trump is not fulfilling his divine task according to his gematria. The human governments of he world are run by blooming idiots now. I have never witnessed blatant stupidity on display as the world grapples with "Diplomacy" on stopping N. Korea. They are celebrating their Hydrogen bomb and their ICBMs. And The World, whoever that is, thinks that they will negotiate a palatable solution that keeps War at Bay. Frankly, I have ceased being stunned by the vacuous stupidity of Western PMs and Presidents. So Kim Jong Un will simply keep advancing at lightning speed on his missile and nuclear programs combined, and Trump will continue to do nothing?? Really?? So by delaying the inevitable, "the World" will eventually, over the course of the next six months (if it gets that far, G-d Forbid), encounter a War where One Billion people will die if not more instead of the 20 million or 40 million who would die right now. Of course it is a catastrophe. Of course it is GogUMagog. But the death toll rises exponentially because of procrastination on this matter. Procrastination accomplishes nothing except for another day where Seoul, South Korea continues to exist. But by waiting six months, the prognostication for Seoul's continued existence does not improve while the prognostication for San Francisco's and Chicago's continued existence continues to deteriorate. So this is the crux of the issue. It is not a desire to see Millions of people die, but it IS a desire NOT to see One Billion people die! Daven. Daven that it happen sooner rather than later. You can of course daven that it not happen at all, but if it must happen, then Daven that it should happen Now and not months from now. It is after all a Decree from Heaven that lights the fuse on this. Dov, the world is even more stupid than "idiot" or it intentionally turns away from reality. Nations of the world are blinded by their hatred towards Israel and ignore the truth and the King and Creator meets out measure for measure like he did with Pharaoh of Egypt when hardened Pharaoh's heart. Meir: Because of the projected sharp turn to the North over Shabbat, the "Cone of Uncertainty" of where this Storm is headed is still too vast to be more than 50% certain that the Eye will directly hit South Florida. We might need to wait until Motzei Shabbat to find out where it is headed for sure. It is either headed for the Florida Peninsula or for South Carolina. On that we are sure. Dov, I want to propose a hypothesis. From Yechezkel we learn about nations that will try to invade Israel c"v. We also learn that the west represented by the USA will NOT come to Israel's assistance. My hypothesis is that the US will be paralyzed by the consequences of the hurricanes and hence will not even be able to gather the will, resources and power to come to assistance. Further the US will be so weakened and hence exposed that it will become an easy target for Russia and China to invade and conquer. though war should rise up against me, even then will I be trusting. to behold the graciousness of the LORD, and to visit early in His Sanctuary. Hopefully we will soon find out. Can we learn something from that? The Snake Trump is at it again! Federal prosecutors in New York on Wednesday charged former Turkish government minister Mehmet Zafer Caglayan and senior executives of Turkey’s state-owned Halkbank of conspiracy to launder hundreds of millions of dollars through the US financial system in the service of Iran, in return for tens of millions of dollars in bribes, Bloomberg and Reuters reported Thursday morning. The new charges could generate yet another conflict between the US and Turkey. To avoid this outcome, President Trump’s close associate Rudy Giuliani, who is the attorney representing Reza Zarrab, has met with Turkish President Recep Tayyip Erdogan to discuss getting the entire case dismissed. Good Erev Shabbat to all. Try to keep your Shabbos calm and centered on Hashem and this wondrous day He gave us. As the Plagues continue, we need to keep in mind that because we are in Eretz Yisrael and are being told we are safe, one must continue introspection and trying to improve ourselves prior to Rosh Hashanah when we are JUDGED. The Mexico Earthquake happened near where the THIRD TROPICAL STORM KATIA was. From the maps it was moving from the Gulf into Mexico. This may have contributed to it. Maybe. I just posted a new post, even though it is a bit jumbled. It was important to post this now before this Shabbat because events in the world are moving at lightning speed. So it is impossible to present this information in small pieces. Sorry for the jumbled nature of the following post about the Submersion Plagues as they hit one right after another, so it seems. Neshama, the earthquake was off the Pacific coast of the state of Chiapas, and the hurricane is coming in through the Gulf coast of the state of Veracruz. As the crow flies, that is a distance of about 500 miles, In addition, there are huge mountain ranges in between those two events (the Sierra Madre). Let's not spread rumors which are not based on facts or scientific evidence. There is no such thing as "earthquake weather"; look at the statistics and you will see.